6 August 2015. 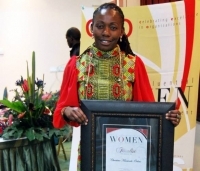 The Africa’s Most Influential Women in Business and Government and Titans – Building Nations, recognition for influential African leaders took place at Hilton Hotel in Nairobi Kenya. The Cocktail was attended by foremost business executives and government officials. This mix made for a good audience as CEO Global announced the African women and men being recognised in various economic sectors across the region. "I am sitting in a small coffee shop in Karen, an affluent suburb in Nairobi. I am meeting with Christine Khasinah-Odero, a Kenyan entrepreneur who has taken a somewhat unusual road towards business success. Instead of engaging in ICT, agriculture, real estate, or finance – which are viewed as Africa’s top sectors – she has found a profitable niche in Kenya’s widely overlooked mother and baby market." After graduating from the United States International University (USIU) with a Bachelor’s degree in commerce and a subsequent Masters of Business Administration from Liverpool University, like most graduates Christine Khasinah-Odero sought employment. Christine has created a company which focuses solely on mothers, reminding them they are special and creating events that nourish mothers both personally and professionally. An MBA graduate from the University of Liverpool (Marketing), Christine has created one of the truly innovative companies in Kenya. Prior to Supamamas, Christine had a tours and travels company that unfortunately didn’t take off. She also worked at an auto mechanic company. She served many roles in her 2 ½ year tenure in the company, including the role of tea girl. It’s not every day you hear of an MBA holder doing such a job, but Christine did just that, learning the tools of the business trade there prior to founding her award-winning company. By Sylvia Wakhisi, Standard Media. CHRISTINE KHASINAH-ODERO, the founder of the networking enterprise for Kenyan mothers Supamamas, is a woman full of passion and charisma according to SYLVIA WAKHISIwho sat down for tea with her. After weeks of chatting and planning, I am finally about to meet Christine Khasinah-Odero, a charismatic woman with a strong personality, who has stolen the hearts of many mothers. 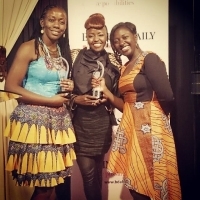 Supamamas Founder and Managing Director Christine Khasinah-Odero (left) was voted in the Business Daily Top 40 Under 40 Women of 2014 for her exemplary work in creating a platform that has Inspired, Informed and Connected mums with each other as well as with several brand and companies. She is also passionate about community service and mentoring the next generation of women. 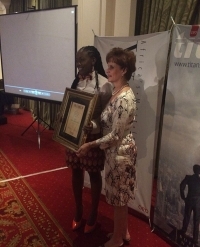 Supamamas founder Christine Khasinah-Odero was honored at South Africa's CEO Africa Most Influential Women in Business and Government Awards as a Finalist in the SME Category. We celebrate this achievement with all our fans, partners and members and reiterate our commitment to continue to Inspire, Inform and Connect Women through our events and online platforms www.supamamas.co.ke and social media. We congratulate all the finalists and winners from Kenya and women in Africa in their various sectors. Like many women all over the world, after becoming a new mother in Kenya, Christine Khasinah-Odero had a dilemma. She wanted to to connect with other moms like her and find local businesses that were relevant to her new role in life, under one umbrella. But she could find no such thing. 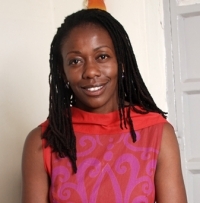 Christine Khasinah-Odero, 32, is the CEO of Supamamas, an event and marketing company that provides an exclusive platform for Kenyan mums to share, connect and get information through a website www.supamamas.co.ke and events. 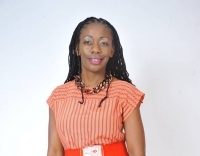 She also owns another marketing company Cosma Ventures – that provides marketing and events management solutions. Christine is warm, friendly and quite humorous’ traits that have obviously helped her get to where she is in life. Hers has been a journey of constant learning through failure, persistence and always striving to succeed. She speaks candidly to ESTHER KIRAGU about her life.